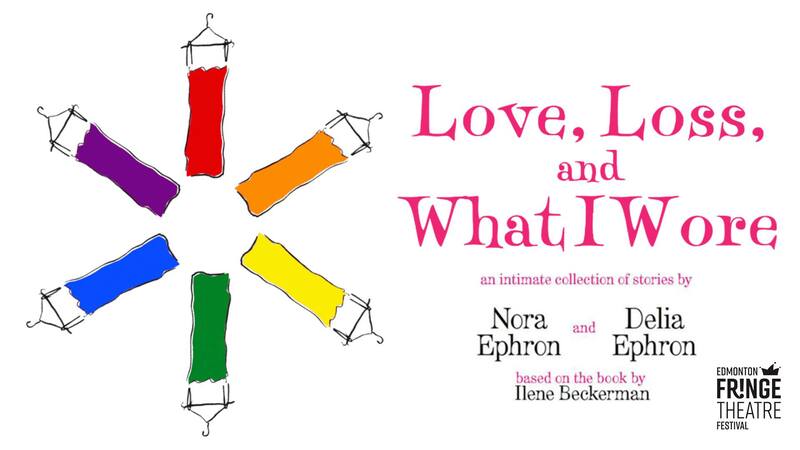 From the writers of “When Harry Met Sally…”, “Sleepless in Seattle”, and “You’ve Got Mail” LOVE, LOSS, AND WHAT I WORE tells the life stories of an array of women through the lens of their wardrobes. Mothers, prom dresses, mothers, buying bras, mothers, hating purses and why women only wear black are all discussed with heart and good humour. Based on the bestselling book by Ilene Beckerman. LOVE, LOSS, AND WHAT I WORE tells the life stories of an array of women through the lens of their wardrobes. Mothers, prom dresses, mothers, buying bras, mothers, hating purses and why women only wear black are all discussed with heart and good humour. Based on the bestselling book by Ilene Beckerman. Tickets go on sale August 8th at noon https://tickets.fringetheatre.ca/index.php with proceeds going to WIN House.